Nike may have been dealing with the fallout of its exploding shoe drama all last week, but that didn’t stop it from debuting its new “Dream Crazier” spot during the Academy Awards. Starring women and girl athletes who have shattered records and barriers, the 90-second spot is narrated by tennis legend Serena Williams and features NBA coach Becky Hammon, fencing champ Ibtihaj Mohammad, snowboarder Chloe Kim and gymnast Simone Biles. The company says the spot, from longtime Nike agency Wieden + Kennedy, is a follow-up to its “Dream Crazy” ad launched back in the fall. It’s part of the company’s larger effort to celebrate the 30th anniversary of its “Just Do It” marketing campaign. 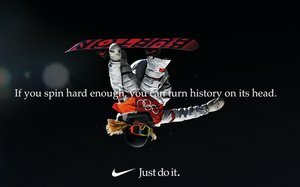 Nike’s marketing to women efforts have been under scrutiny. Last year, the Beaverton, Ore.-based apparel giant underwent a high-level executive shake-up following reports of widespread harassment and discrimination against its female employees. In recent days, it’s been under pressure following the injury of Duke University basketball star Zion Williamson, who fell during a game when his foot blew through his Nike shoe.